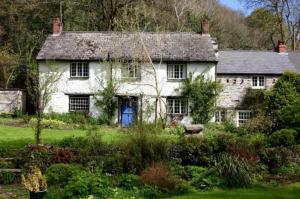 Choose from 147 hotels and guest houses in Cornwall. Shown below a just a selection of the hotels available. To search within an area please use the menu on the right. This leading golf and leisure club is set in 180 acres of beautiful Cornish countryside, just over the Tamar Bridge. China Fleet Country Club offers an excellent range of facilities, including a championship golf course, a 25-metre leisure pool and a 28-bay, floodlit driving range. There is also a fitness suite, a spa with Jacuzzi, a steam room, a sauna and a health and beauty suite. The spacious apartments are equipped with free broadband, satellite TV and tea and coffee-making facilities. The Farmhouse Restaurant at China Fleet has recently been awarded one AA Rosette in recognition of its quality food. China Fleet also boasts a brasserie, bars and a coffee shop. Comfy rooms, real fires and gourmet meals help create the relaxed, romantic environment of Polrode Mill Cottage. Polrode is set in gardens and woodland in the Allen Valley. It is just off the A39 between the old market towns of Camelford and Wadebridge. It is both modern and rustic, and offers en suite rooms with brass beds, roll-top baths and fresh flowers. Enjoy an optional 3-course dinner from the daily changing menu that features the best local and seasonal produce. Guest Lodge Penzance offer affordable accommodation just off the Penzance Promenade and seafront, within 10 minutes' walk of the town centre. Each room is compact and well equipped with the necessary facilities, including fridges and en suite showers. 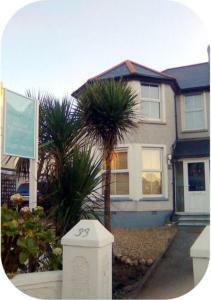 Guest Lodge Penzance is a good base for a trip to West Cornwall and the Land's End peninsula. 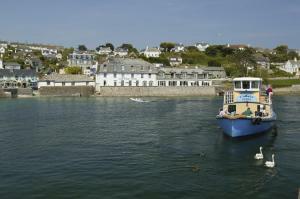 The Idle Rocks sit on the edge of the harbour wall in the quaint fishing village of St Mawes. 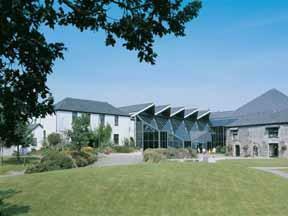 Its location on the southern coast of the UK's mildest county makes the hotel a destination to visit all year round. Aside from its enviable location, the hotel is a magnet for discerning diners, attracted by its reputation for superb cuisine, as well as those simply seeking to relax in its friendly ambience and comfortable accommodation. The terrace is simply the best place around to sit and watch life on the water of this bustling harbour in summer. All of our rooms are non-smoking. The Holmwood is a family run guest house situated in a central position 200 yards from Tolcarne and great western beaches and only 5 minutes walk from the town centre. All of the delights and attractions of this part of Cornwall are at your doorstep, which makes the Holmwood Guest House ideal for your stay in Newquay. Within a few miniutes walk you will find Newquay Zoo, Water World and the colourful Trenance Gardens and boating lake. 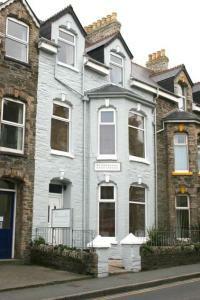 The guest house has 6 en suite rooms, accessible with own key at all times. The guest house is open all year round and has parking at the rear for 4 cars. Nestled above the cliff tops in Penzance, boasting panoramic views over the English Channel, this charming hotel provides the ideal base from which to discover Cornwall's picturesque coastline. Equipped with all that you need to enjoy a relaxing break in Penzance, Cape Cornwall Golf & Leisure Resort offers an 18-hole, par 70 golf course (reduced green fees for guests)and a leisure centre complete with gym, sauna, spa bath, tanning centre and 15-metre indoor pool. Cape Cornwall provides a Clubhouse Bar and gourmet restaurant with spectacular cape views, open for lunches and evening meals, as well as afternoon teas and drinks. The hotel can also offer space for meetings and special occasions for up to 250 people. In a beautiful, quiet part of Cornwall, just 20 metres from the beautiful sandy cove of Maenport, this newly built guest house offers attractive, contemporary accommodation and free Wi-Fi. In a peaceful and secluded position, the Avalon Guest House is located on the Rosamund Pilcher route and the South West Coastal Path, just 3 miles (5 km) outside of Falmouth, along the coast road. Avalon is a family-run guest house and your hosts, Arthur and Gail Shiers, pride themselves on offering the tailored personal service of a fine hotel combined with the warm, friendly welcome and relaxed atmosphere of a small guest house. All of the en suite rooms are comfortable and attractive. Each room has tea/coffee, a mini-fridge, a hairdryer and a TV (some with Freeview digital channels). All rooms have individually controlled under-floor heating and an exclusive parking space, as well as use of the gardens, which have views of the beach and the sea. A former coaching inn run by the Woolcock family for over 100 years, the Commercial Hotel is well known locally for its great food and warm Cornish welcome. Situated in the centre of St Just, the hotel makes an ideal base for people wishing to explore the coastal paths and beaches of the Land's End area. The well-equipped en suite guest accommodation has a 4-star rating and free Wi-Fi broadband wireless internet access is available throughout. Every room is spacious and tastefully decorated, ensuring a comfortable stay in pleasant surroundings. The inn offers an extensive menu, with weekly specials that take advantage of the great produce available locally. Our Sunday roasts are famous and we also specialise in simple fresh local fish and shellfish dishes. Our conservatory dining room leads out onto our beautifully planted patio and garden where parents can enjoy a drink while the children let off steam. An idyllic rural retreat, this elegant country house and spa is set within a 24-acre private estate in Tywardreath, Cornwall, with magnificent views over St Austell Bay. Situated between the ancient ports of Fowey and the UNESCO World Heritage Site of Charlestown, Trenthon Manor Hotel & Spa provides the ideal base from which to discover this part of Cornwall. 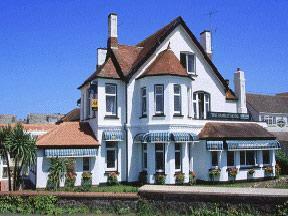 The hotel is also within easy reach of Britain's longest trail, the South West Coast Path. Originally built in 1872, Trenython Manor has been lovingly restored to offer a host of modern comforts whilst maintaining its original features, including sweeping staircases and colonnades, fabulous Italian marble and detailed carved oak panelling. This beautiful, small, boutique-style bed and breakfast has high-specification rooms that have been individually designed. All rooms at Beaches are en suite, with free Wi-Fi access. Each room has its own unique style. Beaches At Newquay is only a 2-minute walk from the world-famous surfing venue at Fistral, with its long sandy beach. Newquay golf course is only a couple of minutes away, whilst Newquay town centre is just a 15-minute walk. Superbly situated on the north coast of Cornwall, AA 3-star Porth Veor Manor Hotel provides charming accommodation overlooking Porth beach, just 1 mile from Newquay. 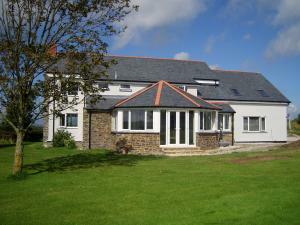 A beautiful mid-19th century property, Porth Veor offers tranquil, comfortable rooms, some with perfect sea views. Each room is equipped with satellite TV. 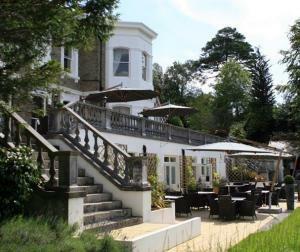 Beaucliffes restaurant serves excellent cuisine and guests may enjoy a relaxing drink in the bar. 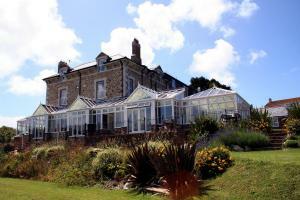 Porth Veor Manor has a lounge and conservatory, with open log fire. There is an outdoor heated swimming pool and picturesque terraced gardens, where guests may enjoy the views. Free parking and an inclusive full English breakfast are available to guests. 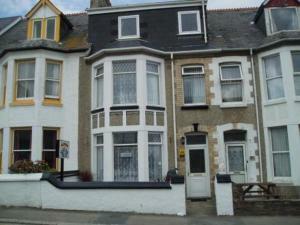 This delightful inn offers en suite accommodation, all recently refurbished to a high standard, some with sea views. This 2 bar inn and restaurant offers you the choice to dine in a relaxed atmosphere or with the locals. With an ever-changing specials board and a carvery that is served every lunchtime, you will find it hard to make a decision. Rashleigh Arms is situated close to the bustling town of St. Austell and within easy reach of many premier attractions including the Eden Project and local brewery. This village pub has en suite rooms and serves good home-cooked food all day. It is 3 miles (4.8 km) from the Eden Project. Bugle village is located on the A391 between Bodmin and St Austell. The pub is fully licensed and hosts live entertainment most Sundays. Breakfast is served from 08:00, or earlier on request. Located just 5 minutes away from the beautiful town centre of Liskeard in Cornwall, this charming grade II listed building maintains a traditional old English atmosphere. Ideally located to explore Cornwall and Plymouth, after a long day you can return to the comfort of the hotel to relax by the magnificent granite fireplace and lounge seating area with a residents' licensed bar. Just off the A38 and A390, the Nebula boasts a strategic location, large private car park, free Wi-Fi access and comfortable, freshly-decorated guestrooms and 2 family guest cottages. This sea-facing hotel has excellent views of St Ives and boasts direct access to Porthminster Beach from the sheltered, heated outdoor pool and sun terraces. Pedn-Olva is set into the blue-black rocks of St Ives' harbour and bay. Since the 19th century it has been a navigational mark for ships. Each compact and comfortable room has a sea view. The hotel has a unique location; it seems to float on the sea without leaving dry land. There are many places to sit and enjoy the views with a drink from the stylish bar. In large gardens, between Padstow and Wadebridge, overlooking the Camel Estuary and Rock, Higher Trevorrick offers stylish luxury rooms and traditional Cornish breakfasts. The Higher Trevorrick Country House has a quiet, peaceful countryside location, close to Padstow and the sandy beaches of North Cornwall. 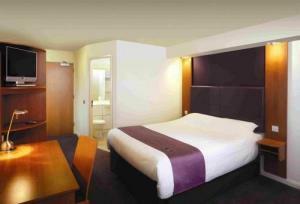 All of the en suite rooms are stylish, attractive and modern, with minibars, hairdryers, tea/coffee and digital TVs. The rooms on the ground floor overlook the gardens, while the room on the first floor room faces out over the Camel Estuary and Rock. A wide range of wines, beers and spirits are available and the guest lounge has spectacular views of the Camel Trail and Rock beyond. A delicious cooked breakfast is available each day, along with homemade muffins, cereals, yoghurts and fresh fruit salad. Your hosts, David and Lorraine, ran a successful Cornish hotel for 20 years and pride themselves on offering friendly, personalised service. 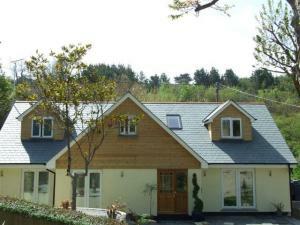 Pine Lodge is a detached guest house situated in its own grounds standing well back from the road leading into Newquay. Porth and Lusty Glaze beaches are within easy reach with a level walk into town. Because of its superb position and relaxed informal atmosphere, the Pine Lodge Guest House is an ideal place for a holiday at any time of the year and makes a perfect honeymoon setting. Family run guest house (extensive refurbishment in 2002 and 2006). Full traditional English or continental breakfast or vegetarian alternatives prepared personally by your host. The food has attracted many glowing comments from our regular guests. Our aim is to offer you the best: Elegance, luxury and comfort, combined with a friendly and personal service. Guests' comments: 'Friendly, Homely, Comfortable, Cosy'. Recently under new management and completely refurbished, this accommodation is an informal seaside retreat for your stay in Cornwall, whether it's for a long weekend, short break or annual holiday. Family-run St.Bernards is home to 8 bright modern bedrooms all of which are en suite, with a generous amount of facilities to make your stay as comfortable as possible. With the town centre, beaches and transport links on the doorstep, whether you're after action and adventure or rest and relaxation, St.Bernards is a convenient, warm, friendly place to stay. Off-road parking is available at a small fee if booked with room. 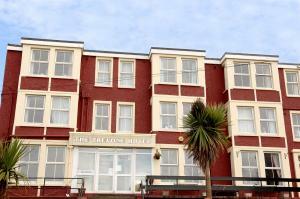 Tregella Hotel is a long established Edwardian hotel it occupies an attractive seafront position with magnificent views over the Atlantic ocean.within walking distance of the town centre,close to bus and rail links. We are a family run hotel are aims at the tregella are to maintain our high standards with a friendly and homely atmosphere welcoming guests back year after year. The hotel is ideally situated just a few minutes from the Town Centre, shopping area, many excellent restaurants and Newquay's finest beaches. We operate a non-smoking policy in all our bedrooms for the comfort and safety of all are guests. We welcome short breaks early and late season. This friendly, informal hotel is a few minutes' walk from the popular family beach at Lusty Glaze. The award-winning Porth Beach is a few metres further along the coast. The home-from-home atmosphere at the family-run Three Tees Hotel is ideal for a relaxing holiday. The South West Coastal path runs along the headland behind the hotel, and a short walk across the Iron-Age Barrowfields brings you into Newquay town centre. Tolcarne, Great Western and Towan beaches stretch towards the picturesque harbour, and the famous surfing beach of Fistral is at the end of the town. Rated AA 3-star Guest Accommodation. 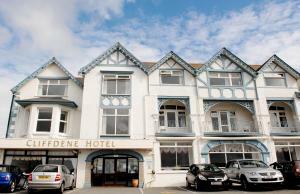 A quality Cornwall hotel offering fine food and bed and breakfast accommodation in Bude Cornwall. Our friendly and experienced staff will guarantee you a memorable stay. The Camelot Hotel is situated on the edge of the Bude and North Cornwall Golf Course offering uninterrupted views across the first three fairways to the sea. The hotel is furnished, decorated and maintained to the highest standards. Our spacious, elegant and comfortable bar and lounge open onto decking surrounded by shrubs and flowers. The fully-stocked bar has flexible hours, and there is a games room with pool, darts and table tennis. Top quality beds and the elegant decor ensure a restful night's sleep. The Camelot is run by the Naylor family, whose commitment to quality is shared by all their staff. We have assembled a first-class team who have an outstanding reputation for their friendly and efficient service. Whether here on holiday or business, on an activity break or for a quiet weekend, we will do all we can to help you make the most of your time with us. 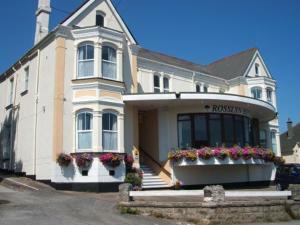 The Trevone Hotel is a friendly family run hotel located in the heart of Newquay and can accomodate up to 60 guests. 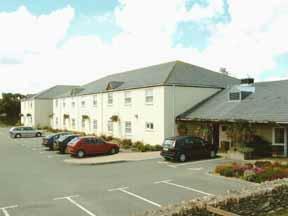 The Trevone Hotel is renowned for their friendly atmosphere and good food. We extend an inviting welcome, so that you can enjoy yourselves in an informal and carefree atmosphere. We set the seal on your holiday by serving delicious home-cooked food of a high quality and in plenty. Our menus are varied and there is always a choice. Special diets are catered for on request. The hotel's bar licence permits guests to invite their friends to enjoy an evening with them, especially on entertainment nights. The hotels are a 2 minute walk from the town centre and beaches, a 3 minute walk from the train station and a 10 minute drive from Newquay airport. All of our rooms are en-suite and centrally heated, each having colour television, tea and coffee making facilities, and alarm clock radios. There is key access at all times.